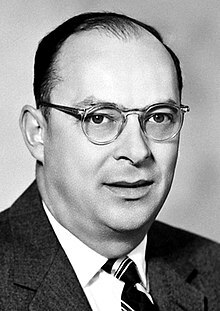 John Bardeen (May 23, 1908 – January 30, 1991) was an American physicist. He is the only person to have won two Nobel prizes in Physics, in 1956 for the transistor, along with William Shockley and Walter Brattain, and in 1972 for a fundamental theory of conventional superconductivity together with Leon Neil Cooper and John Robert Schrieffer, now called BCS theory. ... I can't work well under the conditions at Bell Labs. Walter and I are looking at a few questions relating to point-contact transistors, but Shockley keeps all the interesting problems for himself. On the morning of 1 November 1956 the US physicist John Bardeen dropped the frying-pan of eggs that he was cooking for breakfast, scattering its contents on the kitchen floor. He had just heard that he had won the Nobel Prize for Physics along with William Shockley and Walter Brattain for their invention of the transistor. That evening Bardeen was startled again, this time by a parade of his colleagues from the University of Illinois marching to the door of his home bearing champagne and singing "For He's a Jolly Good Fellow". John Bardeen was an avid golfer and a good one. Whenever possible, he sought out golf courses during research or consulting trips. According to the stories, he was as proud of hitting a "hole in one" as he was to win a second Nobel Prize. This page was last edited on 27 September 2018, at 23:21.